Winery Spaleta Town of Zuljana. Wine bar Peninsula Town of Oskorusno. Winery Milos Town of Hodilje. Korta Katarina Winery Town of Orebic. Trstenica bar Town of Orebic. Town walls, Ston from the 14th century. Town of Ston. Maritime Museum, Orebic Town of Orebic. Bire Winery Town of Lumbarda. Franciscan monastery, Orebic from the 16th century. Town of Kuciste. Mountain Peak Sv.Ilija Town of Orebic. Gaudi Cafe Bar Town of Korcula. Atelier Abel Town of Korcula. Old town Korcula Town of Korcula. Korcula Cathedral Town of Korcula. Massimo Cocktail Bar Town of Korcula. Town museum Town of Korcula. Town gate Town of Korcula. Marco Polo Museum Town of Korcula. Fortress Morska Vrata from the 15th century. Town of Korcula. Art gallery Vapor Town of Korcula. Fortress Sveti Vlaho, Korcula Town of Korcula. Dominican monastery from the 15th century. Town of Korcula. North Kiteboarding Club Town of Kuciste. Water Donkey Windsurfing Club Town of Viganj. Liberan windsurf club Town of Viganj. Diving place Dingac Experience required: 6/10. Visibility: 10/10. Sea currents: 3/10. Diving place S 57 (wreck) Experience required: 6/10. Visibility: 10/10. Sea currents: 3/10. Diving place Ražnjic Experience required: 6/10. Visibility: 10/10. Sea currents: 6/10. Diving place Majsan (archaeological site) Experience required: 6/10. Visibility: 10/10. Sea currents: 9/10. Aci marina Korcula Number of berths: 159. Maximum draft: 5 m. Repair shop, Gas station, Grocery store, restaurant, coffee bar, Shower, laundry service. Beach Fkk Badija , Korcula Guest reviews: 8.77 / 10. Rocky beach: with restaurant, with caffe bar. Nudism is allowed. Beach Divna Guest reviews: 8.5 / 10. Sandy beach: with caffe bar. Excellent choice of watersports. Beach Trstenica , Orebic Guest reviews: 8.44 / 10. Sandy beach: ideal for families, recommended for young people, with restaurant, with caffe bar, equipped with showers. Excellent choice of watersports. Beach Vucine Guest reviews: 8.2 / 10. Gravel beach: ideal for families, with restaurant, with caffe bar. Beach Vaja , Racisce Guest reviews: 8 / 10. Gravel beach: ideal for families. Beach Podobuce Guest reviews: 8 / 10. Gravel beach: ideal for families, with restaurant, with caffe bar. Beach Pupnatska Luka , Pupnat Guest reviews: 7.91 / 10. Gravel beach: recommended for young people, with restaurant. Excellent choice of watersports. Beach Viganj Guest reviews: 7.9 / 10. Gravel beach: ideal for families, with restaurant, with caffe bar, equipped with showers. Excellent choice of watersports. Beach Trstenik Guest reviews: 7.8 / 10. Gravel beach: ideal for families, with restaurant, with caffe bar, equipped with showers. Excellent choice of watersports. Beach Duba Guest reviews: 7.8 / 10. Gravel beach: ideal for families, with restaurant, with caffe bar. Beach Pozora , Trpanj Guest reviews: 7.8 / 10. Gravel beach: ideal for families, with restaurant, with caffe bar, equipped with showers. Excellent choice of watersports. Beach Bratkovice Guest reviews: 7.7 / 10. 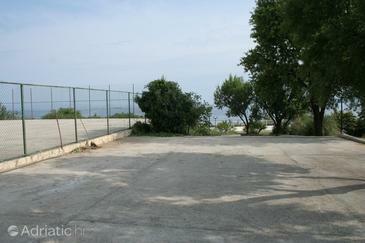 Gravel beach: ideal for families, with restaurant, with caffe bar, equipped with showers. Excellent choice of watersports. Beach Sreser Guest reviews: 7.7 / 10. Gravel beach: ideal for families, with restaurant, with caffe bar, equipped with showers. Excellent choice of watersports. Beach Kremena Guest reviews: 7.7 / 10. Gravel beach: ideal for families, with caffe bar. Beach Luka , Trpanj Guest reviews: 7.7 / 10. Gravel beach: ideal for families, with restaurant, with caffe bar, equipped with showers. Excellent choice of watersports. Beach Tatinja Guest reviews: 7.7 / 10. Sandy beach: ideal for families, with restaurant, with caffe bar. Excellent choice of watersports. Beach Vodice Guest reviews: 7.7 / 10. Gravel beach. Beach Kuciste Guest reviews: 7.7 / 10. Gravel beach: ideal for families, with restaurant, with caffe bar, equipped with showers. Excellent choice of watersports. Restaurant Bistro Fly-In Korcula, Korcula Town Guest reviews: 10 / 10. Address: Rampada, Korcula Town. Cuisine: Bistro. Restaurant Konoba Belin, Zrnovo Guest reviews: 9.7 / 10. Address: Kb. 50, 20275, Zrnovo. Prices: 45 HRK - 112 HRK. Cuisine: Croatian cuisine. Restaurant Konoba Mate, Korcula Island Guest reviews: 9.2 / 10. Restaurant Marinna Bistro Pizzeria, Korcula Island Guest reviews: 9.2 / 10. Cuisine: Mediterranean cuisine. Restaurant Konoba Ranch Maha, Zrnovo Guest reviews: 9.1 / 10. Address: Vrsil, Prisoj, Zrnovo. Cuisine: Mediterranean cuisine, Croatian cuisine. Restaurant Fish'N'Go, Korcula Island Guest reviews: 9 / 10. Address: Prolaz Tri Sulara, . Cuisine: Fish & Chips. Restaurant Filippi , Korcula Town Guest reviews: 8.8 / 10. Address: Setaliste Petra Kanavelica, 20260, Korcula Town. Cuisine: Greek. Restaurant KIWI, Korcula Island Guest reviews: 8.7 / 10. Address: Biline 16, 20260 Korcula. Cuisine: Ice Cream. Restaurant Konoba Malta, Korcula Island Guest reviews: 8.7 / 10. Cuisine: Croatian cuisine. Restaurant Marco Polo Mystique, Korcula Town Guest reviews: 8.5 / 10. Address: Trg Kealja Tomislava 2, 20260, Korcula Town. Cuisine: Croatian cuisine. Restaurant Lesic Dimitri, Korcula Town Guest reviews: 8.4 / 10. Address: P.O. Box 79, Korcula Town. Cuisine: Croatian cuisine. Restaurant Konoba Nonno, Korcula Town Guest reviews: 8.3 / 10. Address: Ulica od Teatra 12, Korcula Town. Cuisine: Croatian cuisine. Restaurant Konoba Komin, Korcula Town Guest reviews: 8.3 / 10. Address: Vl. Frano Gavranic, Korcula Town. Cuisine: Croatian cuisine. Restaurant Zure, Lumbarda Guest reviews: 8.2 / 10. Address: Lumbarda 239, 20263, Lumbarda. Prices: 34 HRK - 207 HRK. Cuisine: Croatian cuisine. Restaurant Lina, Lumbarda Guest reviews: 8 / 10. Address: Lumbarda bb, Lumbarda. Cuisine: Croatian cuisine. Restaurant Dusica Konoba, Korcula Island Guest reviews: 8 / 10. Cuisine: Croatian cuisine. Restaurant Konoba MARETA, Korcula Town Guest reviews: 7.9 / 10. Address: Ulica Svetog Roka 3, Korcula Town. Restaurant Konoba Maslina, Korcula Town Guest reviews: 7.9 / 10. Address: Lumbarajska cesta SV.Anton, 20260, Korcula Town. Cuisine: Croatian cuisine. Restaurant Konoba Marco Polo, Korcula Town Guest reviews: 7.7 / 10. Address: Jakova Banicevica 9, 20260, Korcula Town. Prices: 6 HRK - 6 HRK. Cuisine: Middle Eastern, Vegan, Vegetarian cuisine, Croatian cuisine. Restaurant U Maje i Tonke, Korcula Town Guest reviews: 7.6 / 10. Address: Trg korculanskih klesara i kipara 2, 20260, Korcula Town. Cuisine: Croatian cuisine. Restaurant Konoba Adio Mare, Korcula Island Guest reviews: 6.9 / 10. Address: Korcula Old Town, 20260. Restaurant Pizzeria Tedeschi, Korcula Island Guest reviews: 6.8 / 10. Address: Setaliste Petra Kanavelica, . Cuisine: Pizza. Restaurant Bar Baric, Korcula Island Guest reviews: 6.6 / 10. Cuisine: Croatian cuisine. Restaurant Konoba MARINERO, Korcula Town Guest reviews: 6.3 / 10. Address: Ulica Marka Andrijica 13, Korcula Town. Restaurant Gradski Podrum, Korcula Town Guest reviews: 6.2 / 10. Address: Trg. Antuna i Stjepana Radica, Korcula Town. Cuisine: Croatian cuisine. Restaurant Buffet-Pizzeria, Korcula Town Guest reviews: 6.2 / 10. Address: Ulica od teatra 4, 20260, Korcula Town. Prices: 62 HRK - 190 HRK. Cuisine: International cuisine. Restaurant Tramonto, Korcula Town Guest reviews: 6.1 / 10. Address: Ismaelli 12, 20260 Korcula, Korcula Town. Cuisine: Italian cuisine. Restaurant Millenium Morski Konjic Konoba, Korcula Island Guest reviews: 3.6 / 10. Address: Setaliste Petra Kanvelica 1, . Restaurant Konoba Gajeta, Korcula Island Guest reviews: 3.3 / 10. Address: main street of the old city of Dubronik Croatia ., . Cuisine: Croatian cuisine. Restaurant Restoran Castello, Korcula Island Address: Vrbovica 794, 20260. Cuisine: Croatian cuisine. Restaurant Dos Locos, Korcula Town Address: Setaliste frana krsinica 14, Korcula Town. Cuisine: Bar. Restaurant Radiona Wine Bar, Korcula Town Address: Setaliste Frana Krsinica, 20260, Korcula Town. Cuisine: Italian cuisine, Mediterranean cuisine, Croatian cuisine, Wine Bar. Restaurant Hajduk1963, Korcula Town Address: Ulica 67 br.6., 20260, Korcula Town. Cuisine: Croatian cuisine. Restaurant Bbq Loco Korcula, Korcula Island Address: Setaliste Frana Krsinica, . Cuisine: Pizza. Restaurant Pagar, Korcula Island Cuisine: Croatian cuisine. Restaurant Koboa feral, Lumbarda Address: Waterfront lumbarda, Lumbarda. Cuisine: Croatian cuisine.